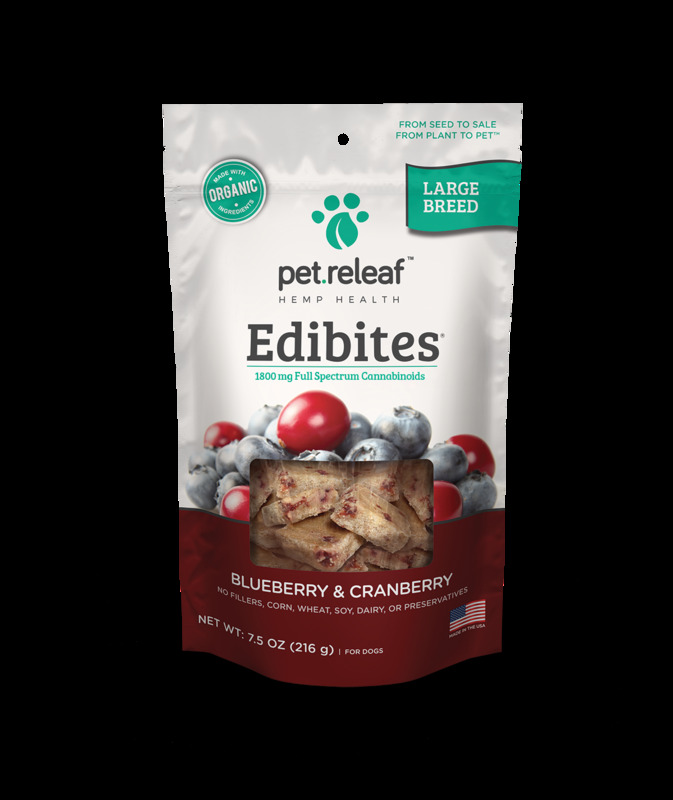 This CBD-infused Blueberry Cranberry Flavored Large Breed Hemp Oil Edibites are a “superfood smoothie” for your dog. They are considered an immune system turbo boost and are the perfect daily supplement for your pet. They contain no wheat, corn, dairy or soy and have no fillers or chemical preservatives.